Some of the best years of my life were spent living in a house on Prince Street with some of the most creative and intelligent people I’ve ever met. It was the birth of my songwriting, where I finally faced my worst fears and made my closest friends. Hours upon hours of music filled its beams and carried on to my favorite neighborhood bar, the Starry Plough. I played my first open mic there, a bad cover of Skinny Love, which nonetheless drew enough support to fill the first two rows. For the first time, I will be playing a show at the Starry Plough, with some great bands. 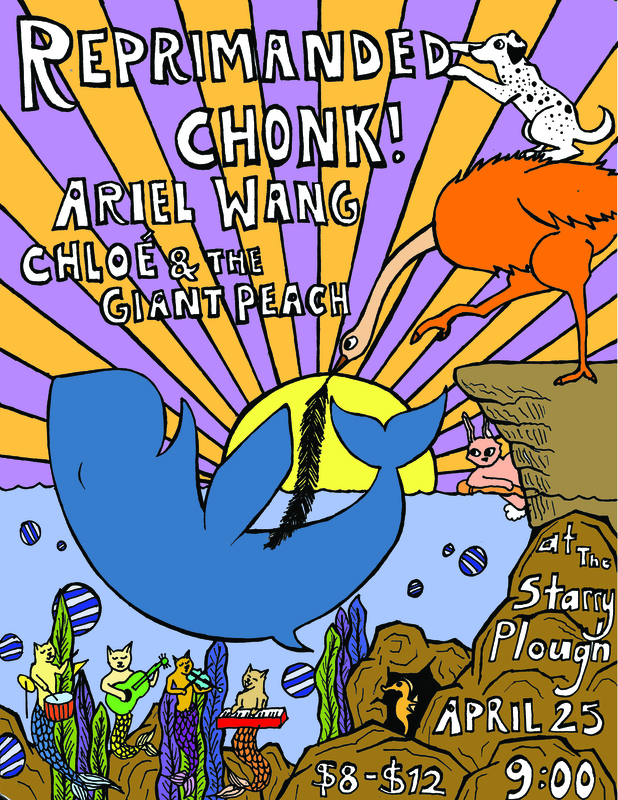 Come dance with The Reprimanded, Chonk, and Chloe and the Giant Peach!